Photos and historic detail by Pam VanderPloeg, except where otherwise noted. Copyright 2016 west michigan modern. 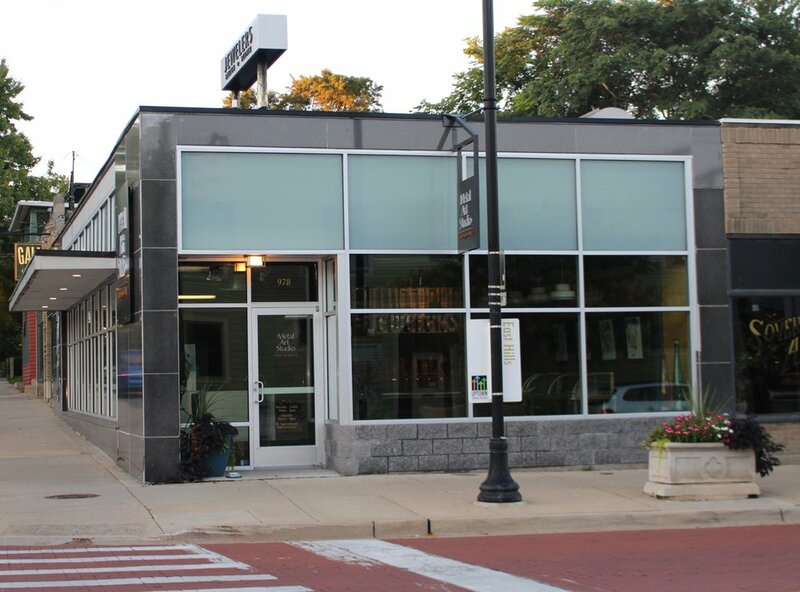 BRIGHTON GRAYE BISTRO AND LITTLE LUCY'S CAFE are two new food venues occupying out of a cool 1960's building that stood vacant for a few years at 1747 Plainfield Avenue NE in Grand Rapids. This stylish brick and glass modern office building was designed by popular builder James Bronkema and restored by Lott 3 Metz as their office. Located at 645 Cherry Street SE just west of Eastern. One of our favorite modern commercial buildings is the Bissell Corporate Headquarters located on Walker St NW in Grand Rapids. Built in 1959 and still the corporate headqurters, the building's architects were Daverman Associates but the lobby was designed by Harvey Earle Associates. Builder was Beckering Construction Company. The Words of Hope Building at 700 Ball Street NE was designed by David Post. WMM hopes to add more details about this building in the future. Jonnie B'z recently moved one side of Wealthy to this new space on the other side of Wealthy SE in a renovated and expanded former Standard Oil service station that was in used as a car repair facility until a few years ago. Research in process on this modern office building on Burton Street. Watch for other stories about modern buildings that will be added to the website soon. The Donkey Taqueria, a popular restaurant and bar, opened on Wealthy Street in 1920's Spanish - Mediterranean style gas station that had stood derelict for many years. The low profile, brilliant white facade, bright red door and gray trim make a stunning statement among the stately older homes of this historic district. It fits perfectly on its corner site framed by a wrought iron fence and outdoor seating. Grand Rapids is an exciting place these days with new construction and renovation. Entrepreneurs and business owners are taking a new look at the modern mid-20th century building stock. Look around and you will see many of these buildings of the recent past coming to life again! Here we present a sampling of our favorite buildings, and share historic images and details where available, including architect or builder, if known. 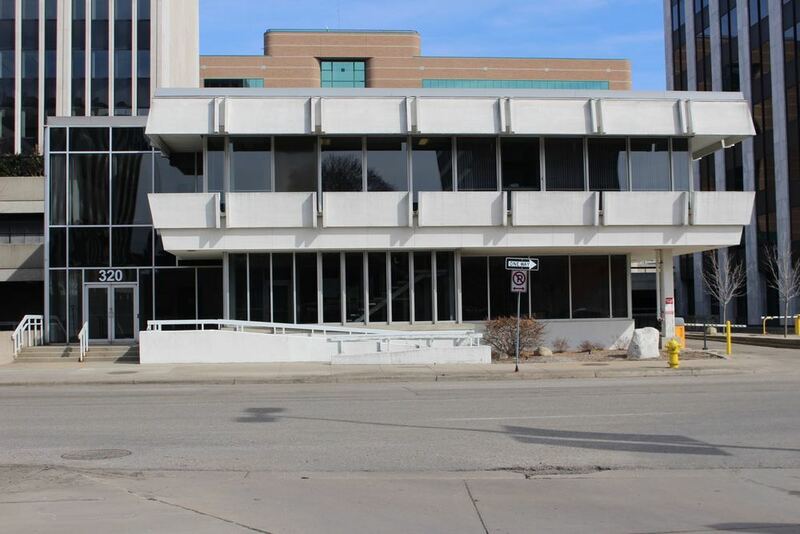 Although most of these buildings date from the mid-century modern period in Grand Rapids architectural history, we also include a few from the 1920's. Stay tune - this collection is growing every day and we will continue to add more buildings.